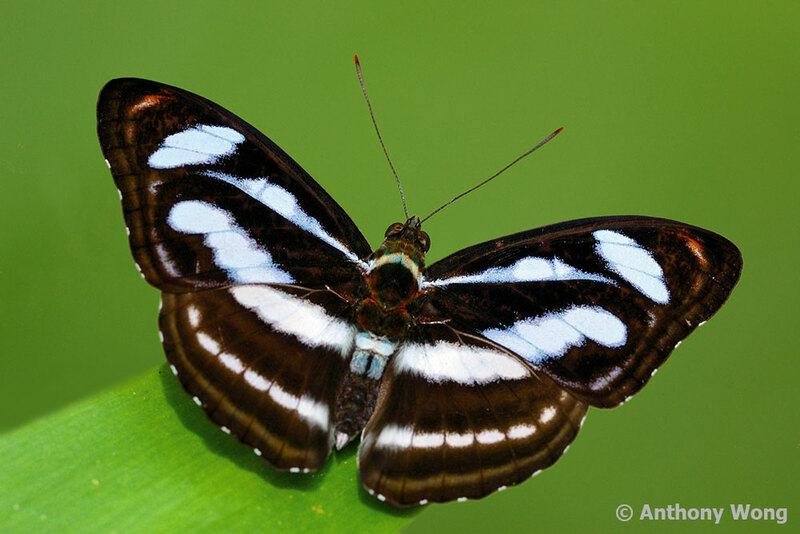 The genus Athyma comprises of butterflies with rather robust bodies and are powerful fliers. They belong to the subfamily Limetidinae of the family Nymphalidae. 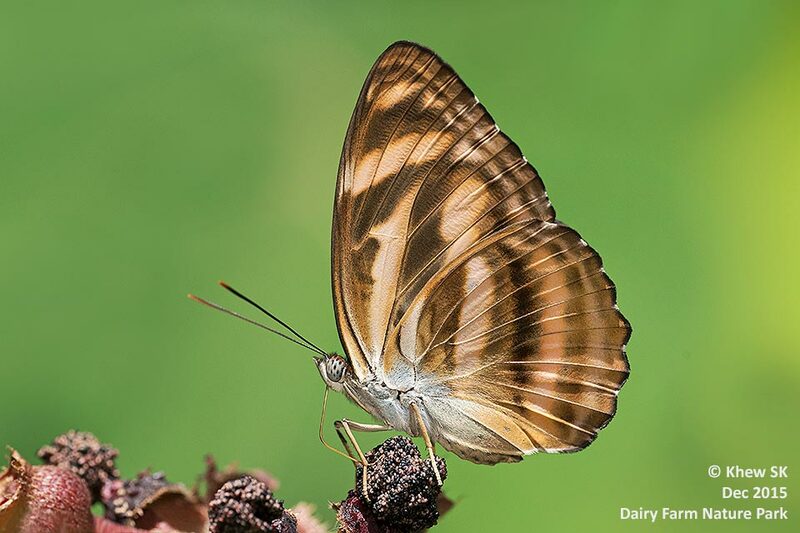 The butterflies have a horizontal striped appearance, usually black and white in the males, and females in some species that have the white bands replaced with either orange or brown. 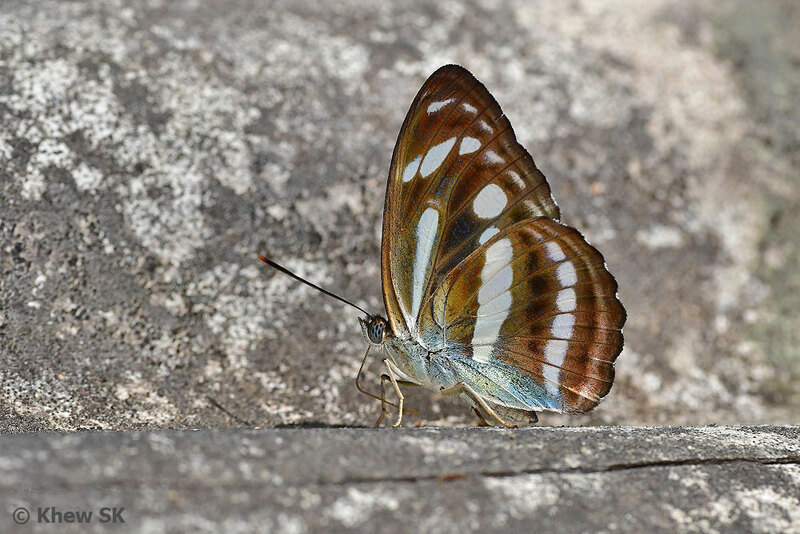 The are currently five extant species of the Athyma species in Singapore - often referred to as "Sergeants" by their English common names. 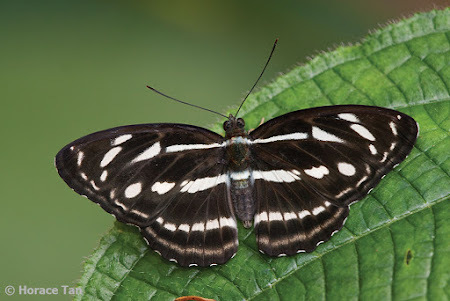 There was a sixth species recorded from Singapore by the early authors - Common Sergeant (Athyma perius perius), but this species has not been seen in the wild for almost five or more decades in Singapore, and no longer considered an extant species here. 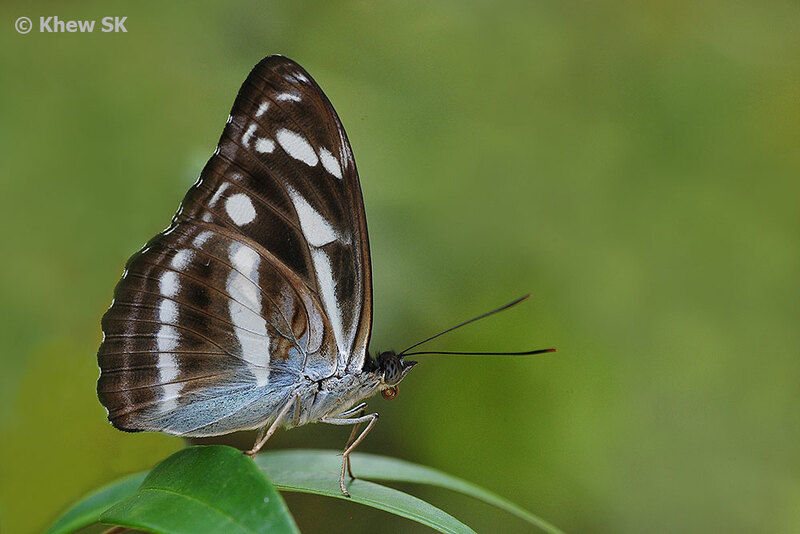 The other five "Sergeant" species continued to be regularly observed in Singapore over the years, with some more common than others. They are medium-sized butterflies with wingspans averaging between 55mm to 65mm. This blog post features all the five species and compares their differences and diagnostic features to distinguish and identify them. The Lance Sergeant is the most distinctive of these black-and-white Sergeants in Singapore. 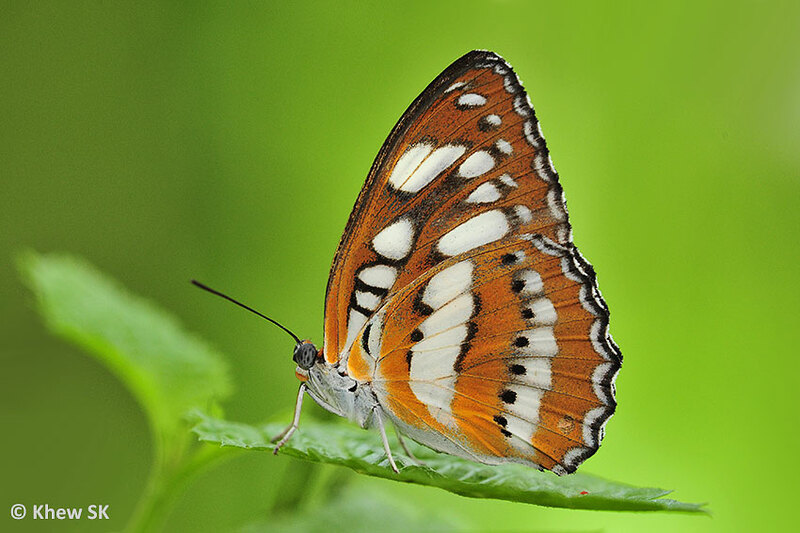 The cell streak on the forewing is unbroken and club-like and this sets it apart from all the other Athymas found in Singapore. 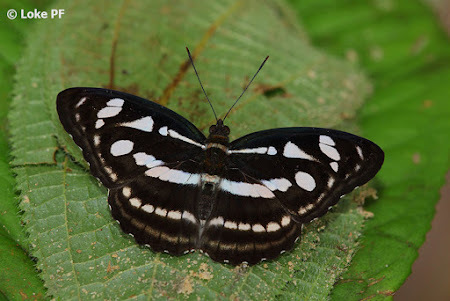 It was a recent new discovery to Singapore, recorded in the mid-1990's and added to the Singapore Checklist. 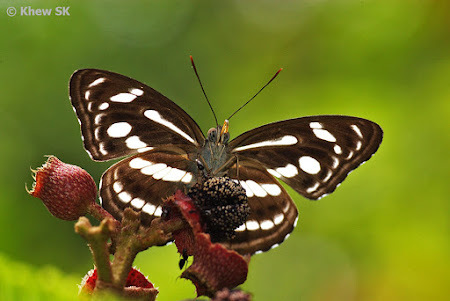 It has made a regular appearance thereafter, usually spotted when feeding on the ripened fruits of the Straits/Singapore Rhododendron (Melastoma malabathricum) and at flowering Syzygium trees. 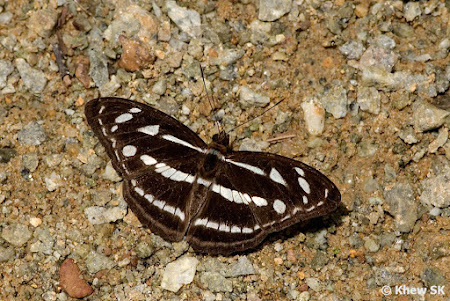 It can be occasionally observed puddling at damp muddy footpaths in the nature reserves. The full life history has been recorded on a species of Uncaria found in the forested nature reserves of Singapore. 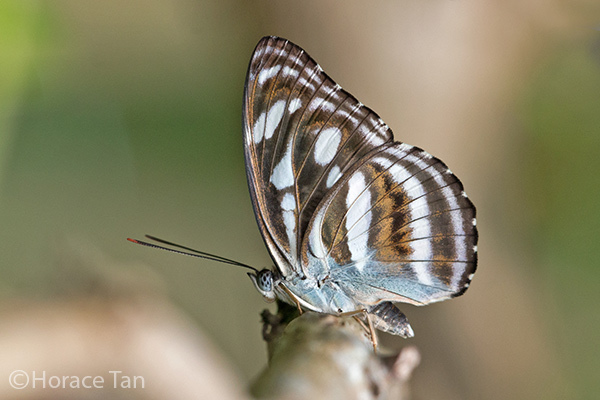 In terms of size, the Lance Sergeant is probably the smallest of the five Athymas found in Singapore. 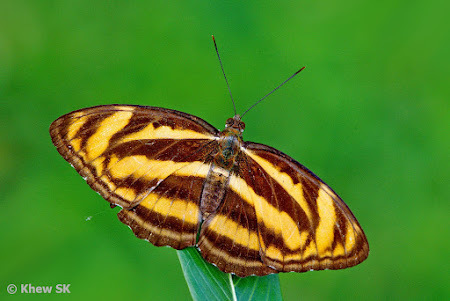 The Colour Sergeant is the most often seen species amongst the Athymas in Singapore. 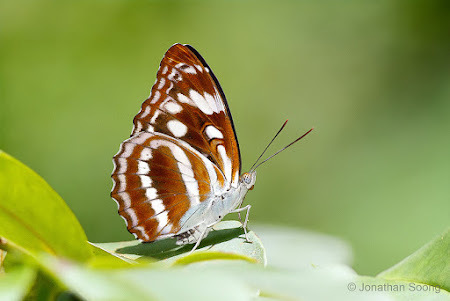 It can be observed at urban parks and gardens as well as in the nature reserves. 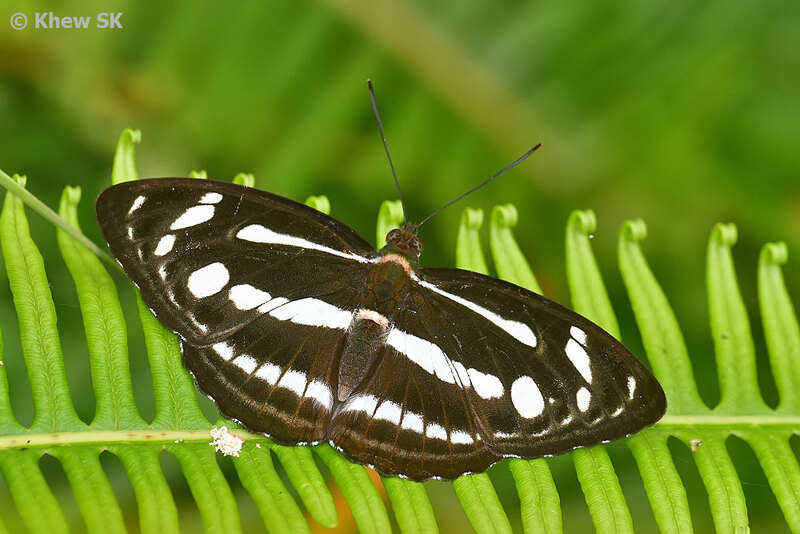 The males are black and white striped in the usual Sergeant look, but the white stripes appear bluish when viewed with angled lighting. The females of this species occur in two forms - the orange-and-black form-neftina and the brown-and-black form-subrata. 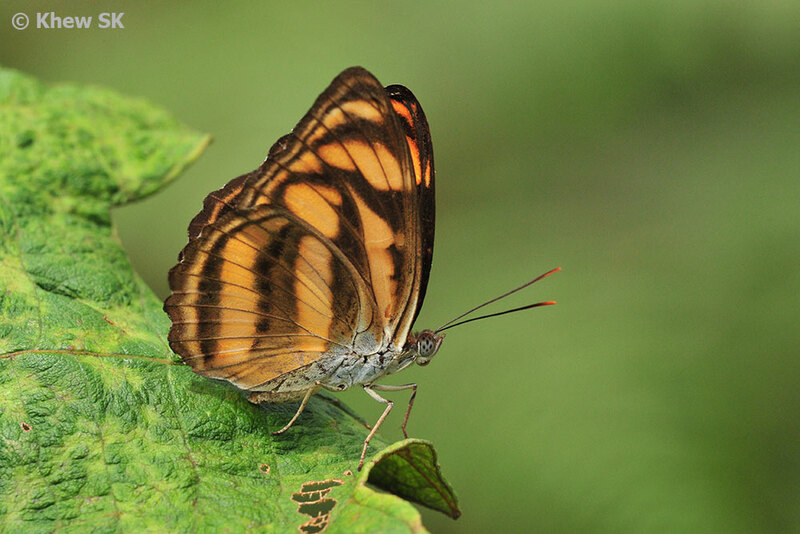 The orange female form is the commoner of the two forms. The undersides are usually paler in colour with a more washed-out appearance. 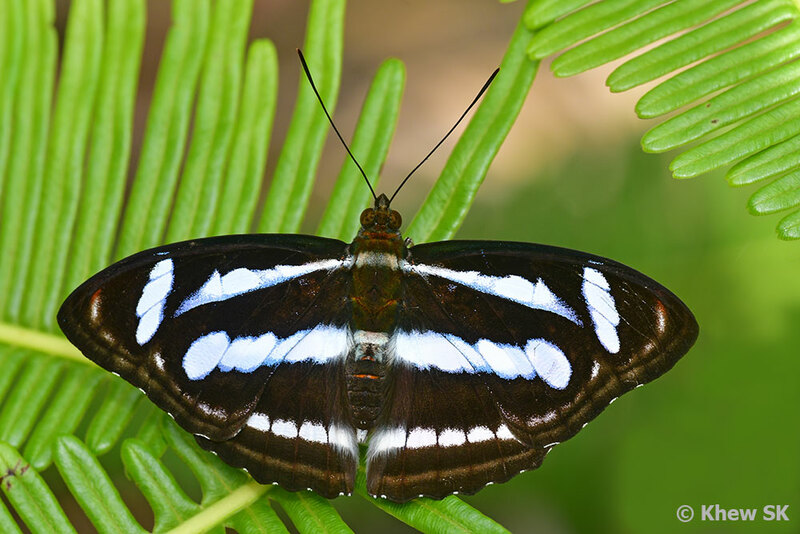 Males are fond of perching on the top surfaces of leaves with wings opened flat, and 'attacking' intruders that wander into its space. Both sexes are often found feeding greedily on the ripened fruits of the Straits/Singapore Rhododendron. The strange English common name of this Sergeant probably came from its cell streak which ends in a triangular 'dot'. The species is largely forest-dependent and is not often found outside the sanctuary of the nature reserves in Singapore. It is rare, and usually spotted singly. A powerful flyer like its other cousins in the group, it sports the flap-glide flight characteristic of the other Sergeants. 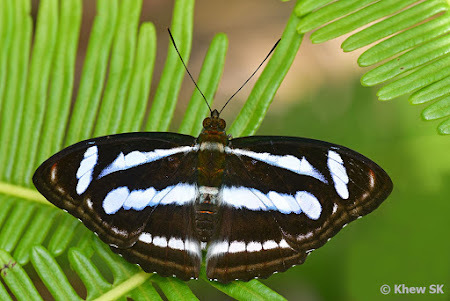 It is skittish and alert, making it a challenge to photograph it, as any slight disturbance will spook it to speed away and up to the treetops. 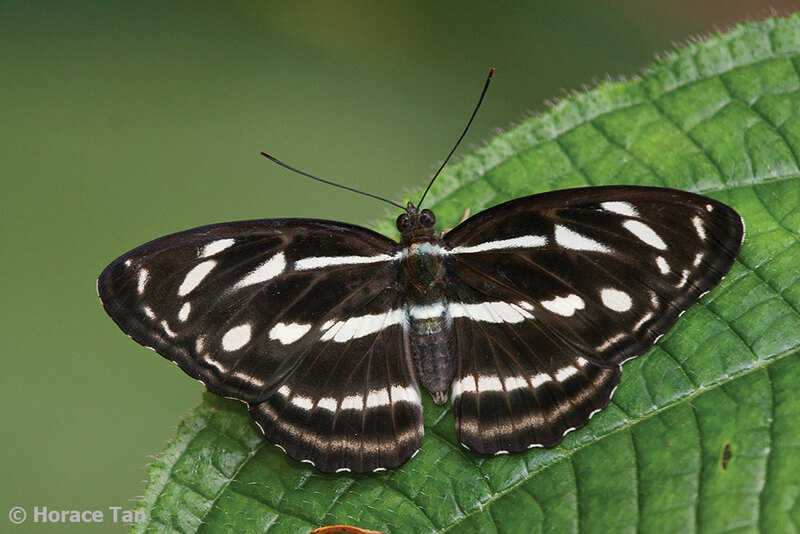 The Dot-Dash Sergeant has the usual black-and-white stripes on its wings. 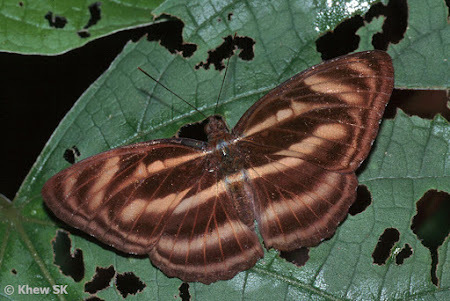 The cell streak on the forewing above is separated from the triangular spot (which is sharp and angular). The underside is a greyish-brown. The Malay Staff Sergeant is probably the rarest of the genus in Singapore, and is usually observed within the forested areas in the nature reserves. 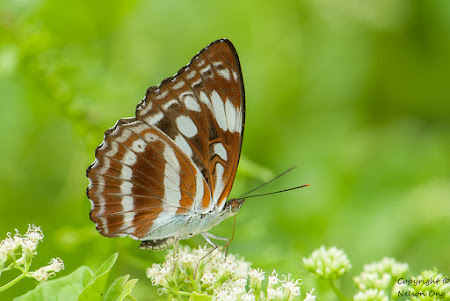 As with most of its other cousins, it is usually spotted singly, either sunbathing on the tops of leaves, or feeding at flowering plants. 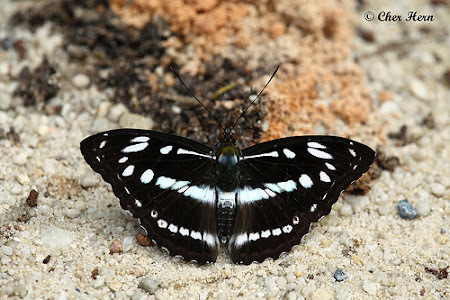 The species is also known to puddle at damp muddy footpaths. The distinguishing markings of the Malay Staff Sergeant is the twice constricted white cell streak and the triangular spot is separated from this streak. The triangular spot is also more rounded compared to the Dot-Dash Sergeant's sharper and angular shape. 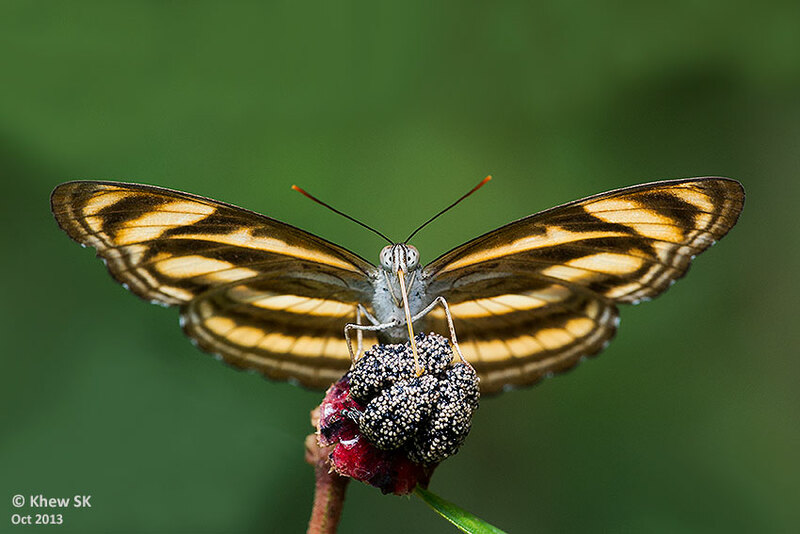 The Studded Sergeant is the largest member of the Athyma genus found in Singapore. 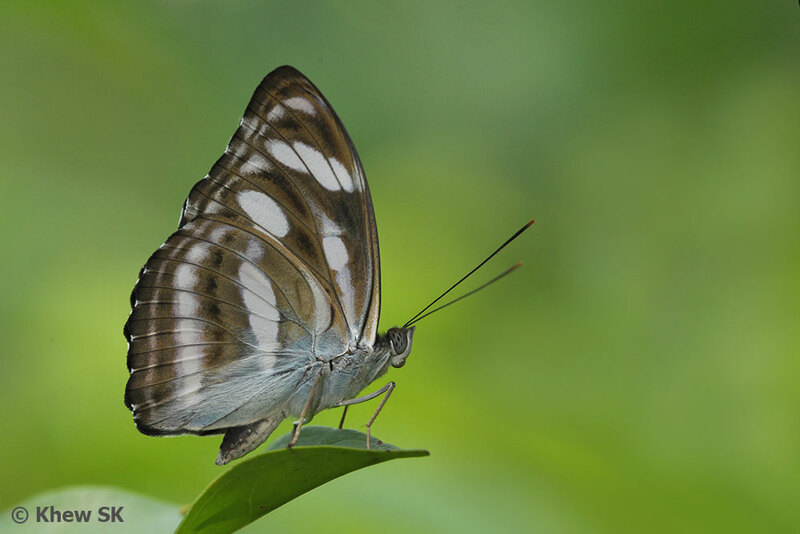 It is also a forest-dependent species but is also regularly spotted in the vicinity of mangrove areas at Pulau Ubin and Sg Buloh Wetland Reserve. The cell streak is narrow and the cell-end spot is small and rounded. The unique feature of the Studded Sergeant is the black-centred white spots at the submarginal band of the hindwing. In the local subspecies, the spots are sometimes indistinct. The apical spots on the forewing are also black-centred. 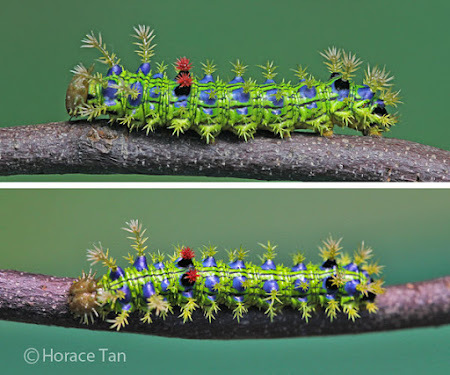 The Studded Sergeant has been locally bred on two host plants - Ilex cymosa (Aquifoliaceae), and another unidentified Ilex species in the nature reserve. 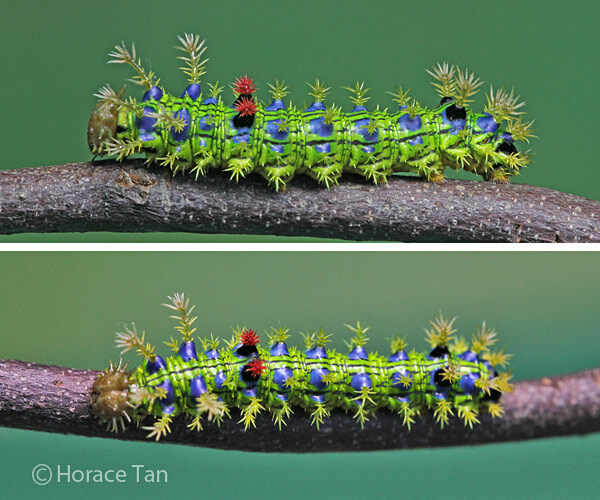 The caterpillar is attractive, with bright blue spots on a green body amidst sharp spines. And there you have it, the five "Sergeants" that you can spot in Singapore. And the next time you encounter one, you can hopefully be equipped to identify which of these Sergeants that you have spotted!